Geni and Tim’s triple dormer. 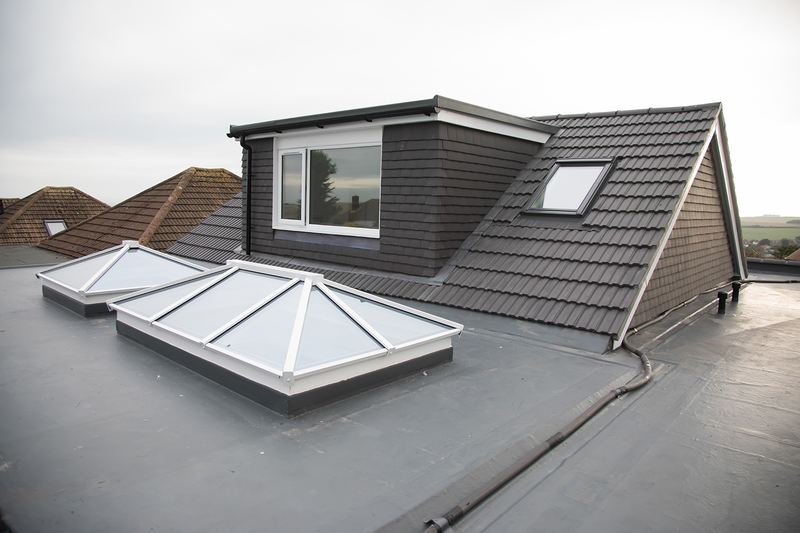 Paul and Liz’ double Hip to Gable with roof lanterns and a total roof refurb. 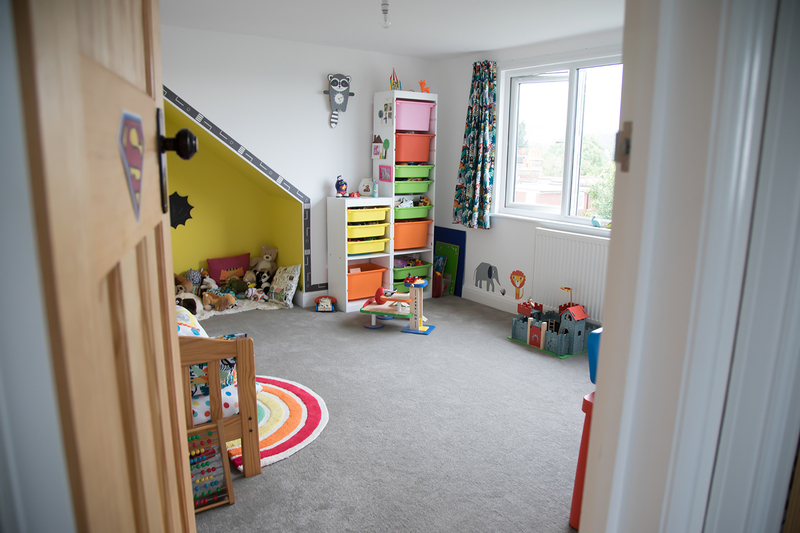 Paul and Liz live in a beautiful bungalow with their twins, who are growing older and need their own rooms. They also waned to create more light in their main living space. Since this is a bungalow, we had to be inventive with the design. 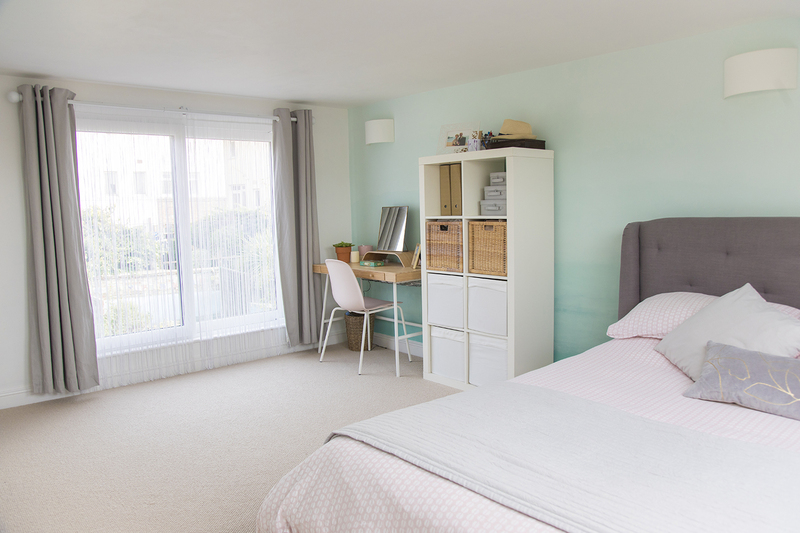 We worked with Paul and Liz to design a large, bright space complete with lots of storage. The gallery speaks for itself – the conversion opened up so many opportunities for storage and part of the conversion was installing gigantic roof lanterns in the rear flat roof for all day lighting. While we were at it we also replaced the very tired tiled roof with smart new grey tiles, and replaced the old leaking felt flat roof with a Matrix GRP fiber glass roof (a product guaranteed for 20 years!). We even built a new front porch and installed all new anthracite PVC windows to tie in with the new roof colour. All in all, it makes it the smartest property on the street. Sarah decided that she needed more space for her little boy to grow in to. She also felt that would like a dedicated spare room rather than making use of her husbands office when friends came to stay. We were able to help her out by converting her slated roofed end of terrace hipped roof property in to an expansive Two bedroom, one bathroom Hip to gable. With a stair case designed to tie in beautifully to the original and a bathroom with the 1950’s vibe that she so loves. We even replaced her rather tatty old slate roof with beautiful grey tiles and coated her new PVC windows in anthracite grey to match! 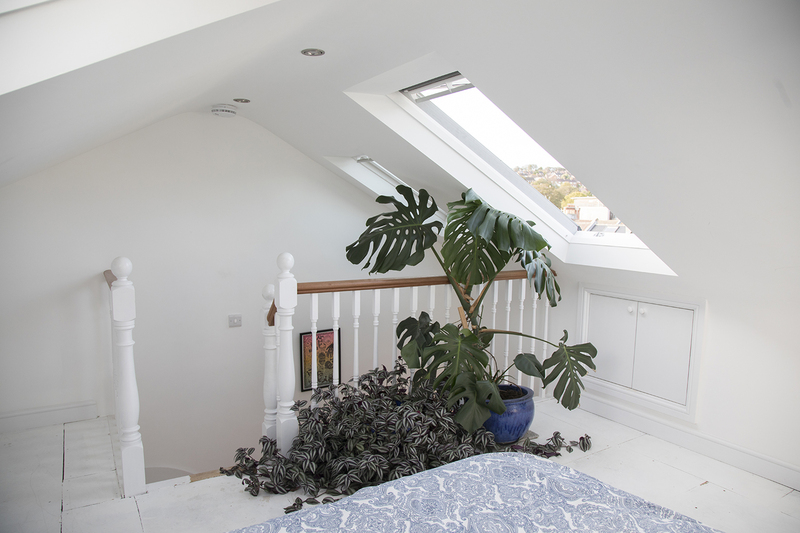 Emma and Paul’s Dormer conversion, With dropped ceilings.